As you might know, Worona was born in 2015 in an effort to make it easy and affordable for people to build mobile apps. After the success of our first prototype, we launched a whole new platform about a year ago to offer a better app building experience to our users. Now, we’re discontinuing this platform and our app submission services to place all of our focus on Progressive Web Apps (PWAs) and Google AMP. Actually, we did it a few months ago. We are making it official today that we have re-designed our website. We’d like to explain you why we made this decision. Since 2008, mobile apps seemed to be the way to go. Full of potential, they were the best way to deliver content and services with native experience and performance. A few years ago, things began to change. Web app technologies started closing the gap between native and web features. And today, there is very little you can do in a native app that you can’t do on the web. Although Worona had a loyal following, we were aware that mobile app usage was slowly declining. 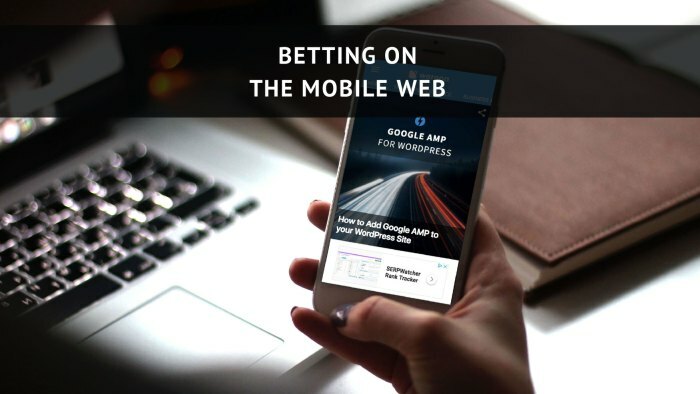 We started to look at other mobile solutions, such as Progressive Web Apps, and their countless benefits. They use the web to deliver user experiences, can be easily found on search engines and don’t need to be downloaded. Their reach is massive. 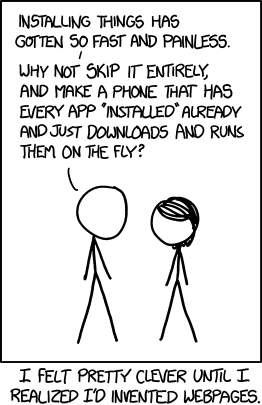 But even better, PWAs don’t need to be submitted to Google Play or the App Store. Because of the app approval process, we were constantly running into technical limitations. This got worst when Apple published new stricter rules regarding the App Store submissions. Their guidelines specifically did not support apps using “a commercialized template or app generation services”. Since then, every submission process became a nightmare as it started taking away vital resources from all the team. We’re not saying mobile apps are dead. Of course they aren’t. But we couldn’t find a profitable opportunity to grow under this scenario. We needed to focus our resources, time and effort on new growth opportunities. Today, Worona builds Progressive Web Apps on top of WordPress with Google AMP support. We make use of the latest mobile technologies to help publishers boost their traffic and maximize their ad revenue. Our Progressive Web Apps are designed to load nearly instantly and they score 99/100 in mobile performance on Google PageSpeed Insights. Mobile speed is key to driving revenue for publishers nowadays. A fast user experience on mobile means greater pageviews, conversion rates, and ad viewability. On the contrary, users who are frustrated by a slow-loading site are more likely to bounce: visit your site once, leave and never return. In addition, our technology is modular and extensible. The code behind our software is openly shared so you can add as many features as you want. Who are you targeting? What is your plan? We are currently working with medium size and large WordPress publishers whose sites have from 100k page views per month to millions. However, if you are interested in our technology and your blog has less traffic, don’t be shy and contact us. We plan to be a solution for all kind of blogs in the near future. Worona is free. There are no installation costs nor monthly fees. Our monetization comes from one small ad placement that publishers allow us to use on their pages. What’s the difference between Worona and a responsive WordPress theme? A responsive WordPress theme does not mean a better website performance. Although it is necessary to incorporate elements of responsiveness into your web design, they have no impact on speed. The mission of Worona is to get your site on screen as fast as possible. Ensuring a speedy mobile website will help boost your traffic and make your visitors have a painless, better experience across all devices. Come see our new website. If you want to know more, feel free to visit our FAQ page or leave us a comment below. We’ll be happy to help! ⚠️ Update: Worona has rebranded to Frontity. Read our announcement here.